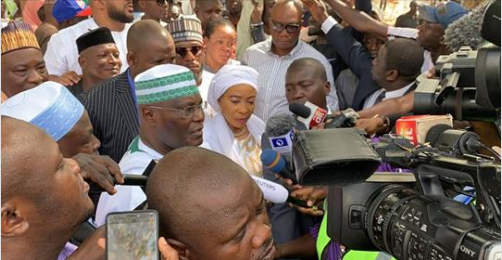 Progressives Congress (APC) Chairman Adams Oshiomhole that its candidate Atiku Abubakar lost last Saturday's race since he was not electable and not destined to be President. 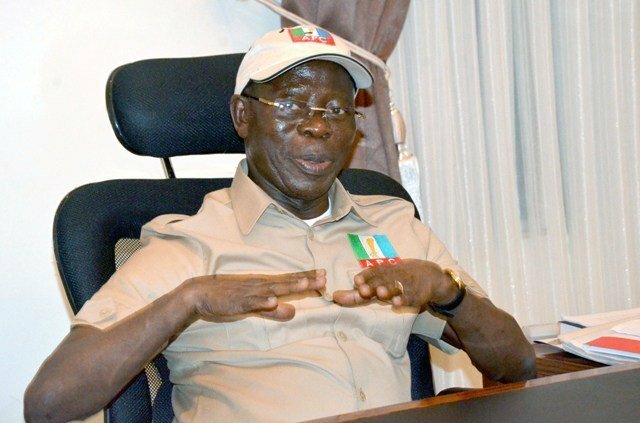 Its representative Kola Ologbodiyan prompted Oshiomhole to initially address what he called the numerous issues he has brought upon APC before dallying into the issues of Atiku. Ologbondiyan said: “It is not for the National chairman of the APC, Adams Oshiomhole to tell Nigerians who is electable or not. “He told the whole world that he will deliver 100 per cent vote for president Muhammad Buhari in his ward. What did that tell you? That is pure rigging because there is nowhere in the whole world that everybody will be in one political party. It showed manifestly how much rigging Oshiomhole is capable of. “Is it not strange that a sitting national chairman cannot deliver his state for his party, in spite of the fact that he has a sitting governor. Will it not bother him? That is a question that should bother his mind. “If truly the APC is a political party, that should bother them that they have a national chairman who woefully failed to deliver his state to his party. “I don’t think anybody takes Adams Oshiomhole serious in this country going by the manner he conducted primaries in his party.